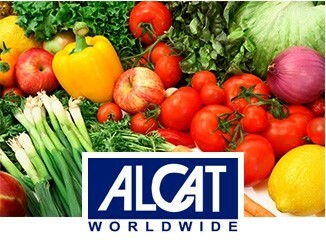 The ALCAT Test uses the outcome of the results to accurately and objectively identify food allergy or intolerance. By eliminating certain foods that are incompatible with an individual’s physiologic or biochemistry profile then metabolic function can be improved. The test through evaluation of whole blood tests and the leukocyte cellular reaction (final pathway) evaluates the delayed response to foods. The test is distinct from a skin test which measures only a single mechanism such as mast cell release of histamine or the presence of immunoglobulin E (IgE) molecules to reactions to food and chemicals. Delayed reactions to food and chemicals are not identified by IgE. The ALCAT test relies on the immunoglobulin G pathway which identifies high specificity to food exposure not intolerance. For these reasons, the test is not to identify allergic reactions. The test is meant to identify and neutralize the inflammatory processes as a result of incompatibility to certain foods. The ALCAT Test reproducibly measures the final common pathway of all pathogenic mechanism; whether immune, non-immune, or toxic. It is the only test shown to correlate with clinical symptoms by double blind oral challenges, the gold standard. The test identifies reactions to over 350 foods, chemicals and other substances associated with inflammation that are linked to chronic health problems like migraines, aching joints, fatigue, gastrointestinal disorders, eczema, hyperactivity/ADD, asthma and even obesity. The test can be used for specific conditions such Arthritis and Fibromyalgia, Weight Gain and Obesity, Migraine Headaches, Chronic Fatigue, Irritable Bowel Syndrome, Attention Deficit Hyperactivity Disorder (ADHD), Eczema and other skin disorders, Asthma and other respiratory problems. MAKE YOUR WELLNESS APPOINTMENT TODAY!